Residential and commercial property markets are very different from that of the rest of the country. 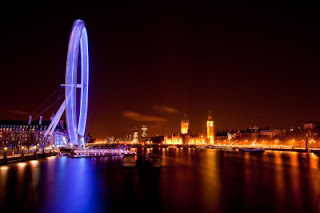 Thanks to the strength and diversity of the economy, Britain, the Center of London, is one of the best locations to take interest in, when looking at property. Location is crucial when deciding where to buy property. Chelsea and Kensington are considered to be top locations. There are some properties in London that need to be refurbished or refitted, which is the only reason they are vacant. There is such a high demand for office spaces and retail spaces, that there are far fewer empty buildings here, than anywhere else. There is just over 3% of vacancies here, which is almost unheard of. Other countries are very different than Britain. Britain makes it very easy for the foreign people to come here and stay here. The foreigners like the fact that the English, unlike so many other places, go out of their way to respect property owners here. The rest of the country could be doing poorly, but central London is still doing well, because of how well the property market does in this area. If you have plenty of money, London is a great place to live. People come here to invest their money in Commercial and Residential property. The financial institutions certainly appreciate their business. The Land Registry published yesterday that unfortunately in March the average prices in London fell 1.8 percent, but this doesn’t seem to have had an impact. Central London property demands may increase, due to the French election. There is supposed to be a raise in income tax rate to 75% in France, after the election of Francois Hollande as President. There could be a lot of rich French citizens moving to Britain after the election. You can look in the Marylebone district north of Oxford Street for property. Around Great Portland Street, there is also a lot of high quality property. Near the London Bridge Station, located on the South Bank, in the City of London, there is also property. Lastly, there is the Picadilly, Hanover Square and Regent Street, which can all be found on the West End. There are many Offices and Shops found in these areas, you just have to look around. Soho, Covent Garden, Carnaby and Chinatown are always full of visitors, always busy, and great places to buy restaurants, shops and bars in the central London area. Levels of business is slowly creeping back up, after the Euro zone crisis, now that the dust has settled, there has been much more activity and interest noticed in the area. The euro zone crisis caused such a fallout, it did not help anyone. In spite of this, the property prices in central London are still likely to rise in the next couple of years. Many people are moving their money to London, to keep it safe. The world's interest will change, and this will be thought of as one of the greatest cities, due to the Queen Diamond Jubilee, the summer Olympic Games. If you would like to view some properties within the West End, get in touch with experts LDG!